The road race will be the first chance for Team GB to get a gold on the medal table, when Mark Cavendish goes for glory on July 28, shortly followed by the women’s event the day after. Nicole Cooke is the reigning Olympic champion after her memorable victory in Beijing. However she has not maintained her world beating form in the past couple of seasons and now faces pressure from rising star Lizzie Armitstead to lead the British team. 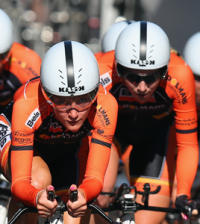 In the time trial Emma Pooley, a silver medallist in Beijing, will be hoping for more success. 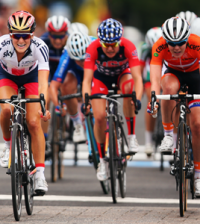 Olympic rivalry: Ironically one of the biggest rivalries in the sport right now is between two British riders – Nicole Cooke and Lizzie Armitstead – as they fight for the top spot on the team. At the World championships last year Armitstead was involved in a crash, with Armitstead seemingly out of the running, Cooke sprinted on to finish fourth, a matter which caused Lizzie to speak out about her team-mates’ apparent lack of cooperation. 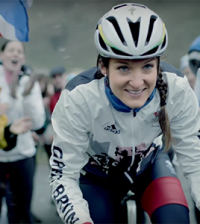 At the time, Cooke insisted she complied with team tactics and only rode for herself once Armitstead’s hopes were gone. Whoever does end up leading the GB team, will face strong competition from Marianne Vos (Netherlands) currently ranked number one in the world and Emma Johansson (Sweden) silver medallist in Beijing and world number three. Emma Pooley will be up against the current world number two Judith Arndt of Germany, the reigning time trial world champion, with the largely flat course in London suiting Arndt’s riding.